West Indies’ Chris Gayle hit 99 to help Kings XI to 173-4 from their 20 overs. Earlier, England’s Jos Buttler struck 89 from 43 balls to help Rajasthan Royals beat Mumbai Indians. 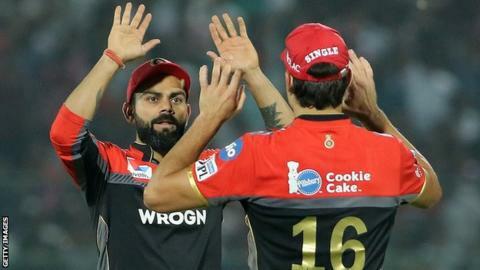 You can listen to commentary on Indian Premier League matches on BBC Radio 5 Live Sports Extra – the next featured game is Kolkata Knight Riders v Chennai Super Kings on Sunday, 14 April at 11:30 BST.